Everytime I have a chance to return to Italy and visit our friends I start thinking of all the possible meals we will share, the great wine, stories of what we have been doing and then of course the cards that will be played. This time I took my friend Anita Braker since she loves food as much as the rest of the gang and my husband was once again going fishing in Canada. We arrived in Milan on Saturday morning and hit the road running. We were drivento the small town of Salsomaggiore, just north of Parma and about 2 hours from Milan in traffic. Our friends Sandra and Maurizio have created a wonderful apartment above their garage and we stashed our bags and were greeted with a simple lunch and a quick overview of the week to come. 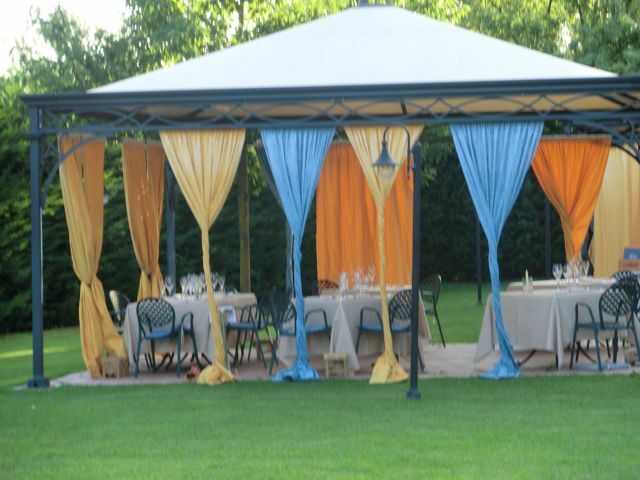 That evening we headed to the village of Busseto for a simple dinner and front row seats for the opera “La Traviata” . The stage was set in front of Verdi’s original home the warm evening air and great live music made us feel like we were dreaming. .com/relais. Massimo makes the very prized culatello, and is always willing to take you down in the cellar to see hundreds of them ageing with the cool breezes from the Poe river circulating through the rooms. The next day we visited the local stores to buy that famous balsamic and cheese from parma and of course only that made with the milk from the red cow. 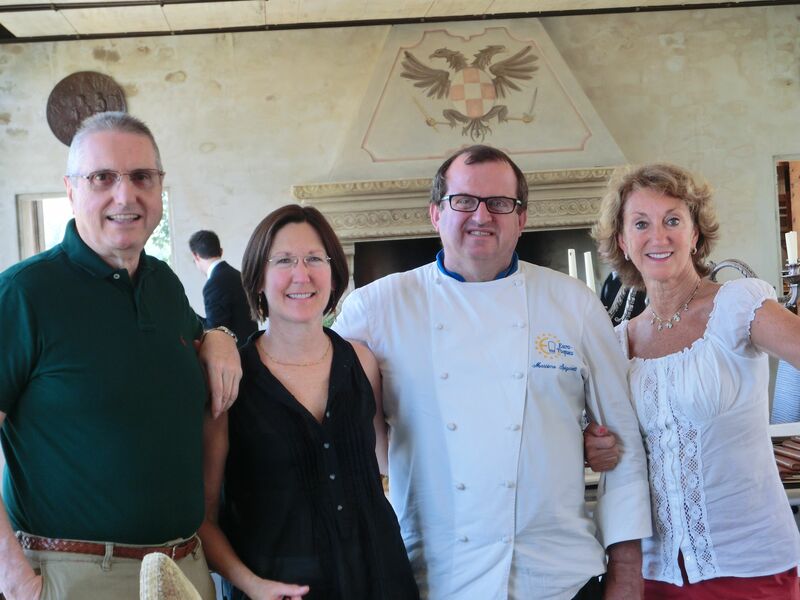 That evening we went to a local wine makers home, Guiesppe Tomasetti family winery. It was interesting to share new young lambrusco along with a merlot that they are producing. WE brought meats, including culatello and wonderful ripe cheeses. the gardens were in perfect bloom and the food was fresh and very interesting, we shared a bottle of white wine called Pagliature, worth trying. Of course Elton John was a thrill and he played from 9:30 to after midnight. 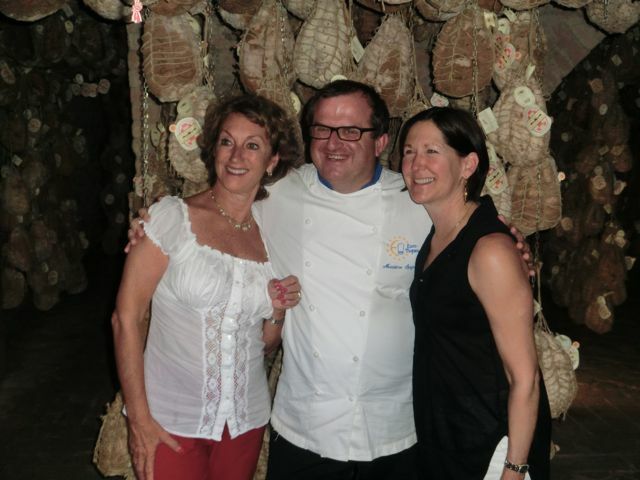 The last night our hosts had Massimo’s team create a dinner at home that we will all remember and as always there was plenty of Culatello to share. Until I can return, thank all of our friends in this little part of the world. You have won our hearts and souls.